'Origami' by 4moms is an automatic folding stroller designed with features that keep the comfort of both adult and child in mind. Composed of an aluminum frame with polyester fabric, the device is outfitted with a four-wheel suspension system for a smoother ride. The handlebar features an LCD interface with information about the battery status, distance and speed walked, and external temperature, as well as two cup holders (with two additional cup holders built into the seat). Although it can be plugged into an electrical outlet if desired, 'origami' is powered by its own generator, garnering energy with each step. The stroller folds up automatically (with a manual mode option), rollable when not in use via hidden luggage-style pull wheels. Built-in sensors and a two-step activiation system prevent the device from ever folding with a child in the seat. 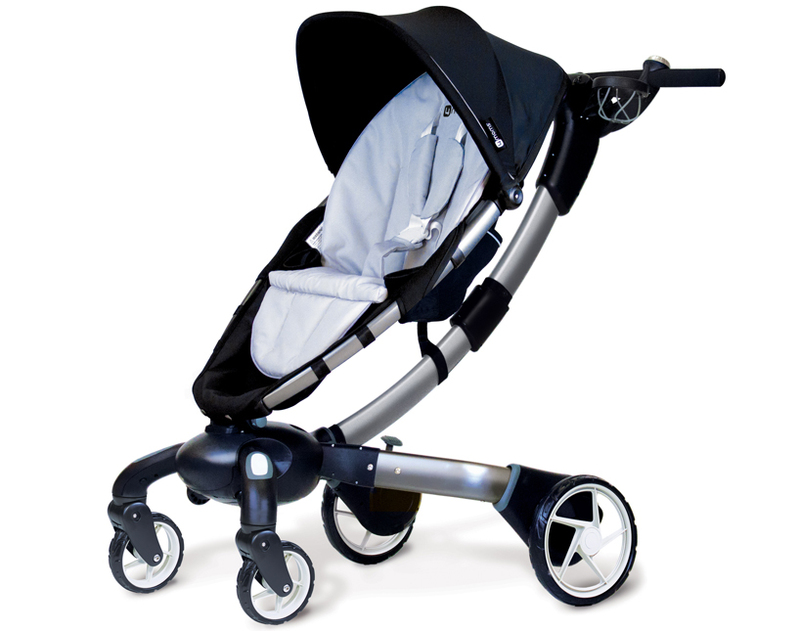 The 'origami' folding stroller is scheduled for availability in january 2012 at an estimated price of 850 USD.